Pronation, in anatomical terms, means to rotate, and it applies to any rotational movement of a bone. 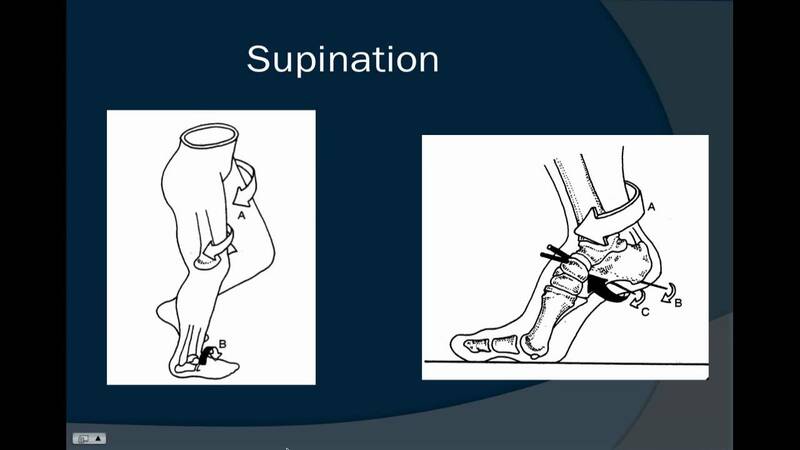 Pronation in the feet involves an inward rolling of the foot throughout the gait which helps with the transfer of force. Normally the foot will move from the heel to the toes with only a small degree of pronation, with a slight inward roll from the outside of the heel to the inside of the foot which helps to support the body weight. Normal pronation involves the rolling of the foot to approximately 15 degrees. If you have normal foot arches, you are likely to be a neutral runner and will most likely pronate normally.